If you are looking for the Best Limousines Kansas City has to offer, you have come to the right place! Overland Park Limo Service maintains a pristine selection of the best stretch vehicles in the KC Metro. 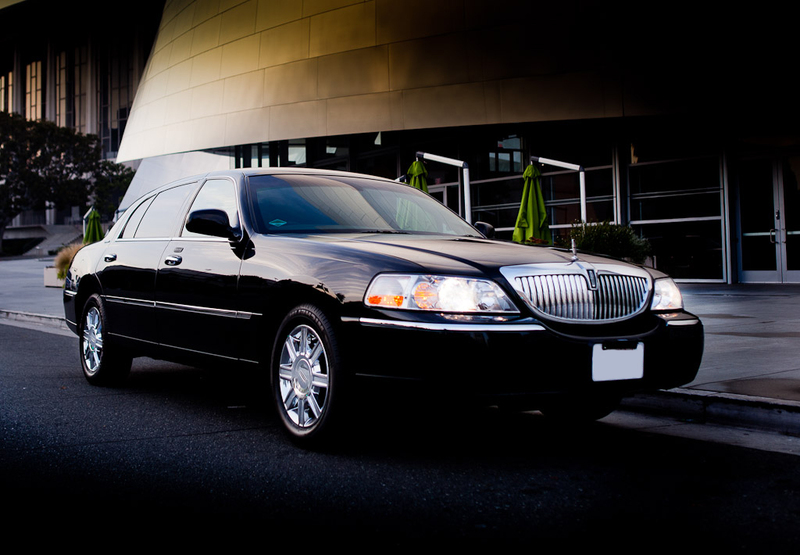 Our fleet of limousines meets the highest standards of safety and elegance, and are matched by none in the area. Each one of our vehicles is professionally cleaned after each use, given regular maintenance, leather treatments and run through our rigorous quality control inspection sheet on a monthly basis. With an Executive Sedan, an Executive Escalade, Lincoln Stretch Limos, a Stretch Escalade and a Stretch Hummer at our fingertips, you can guarantee that we are prepared to serve you with a premium ride for a premium experience. Our Lincoln Executive is perfect for Corporate Executives or Casual Business Travelers who need vehicle service for the day or a simple pick up and/or drop off to/from one of our wonderful regional airports. It will hold up to 3 passengers (2 in the back and 1 in the front). The comfortably spacious interior, cool leather seating and warm accents are perfect for the businessman who needs creature comforts after a long plane ride. Drink service is available; just ask Geeves to pour a roadie so that you can kick back and enjoy the ride. Thinking about the perfect date night? Why drive when you can hire our vehicle service and have your own personal chauffeur?! Our Lincoln is also the perfect ride for an intimate night out for two. Dinner on the Plaza. An evening in the Jazz District. There are a thousand ways we can think of that a lovely Kansas City couple could spend an evening along with us in the Lincoln Executive Sedan. With seating for 8-10, it is plenty large enough for an evening out with other couples, but still small enough that it can be spaciously intimate for 2. Lighting that will keep your eyes dazzled, a sound system that has beautiful clarity, and the smell of your date's amazing cologne or perfume right next to you. This palatial piece of rolling real estate is the perfect vehicle for your Night Out! With seating for 12-14 people, there is plenty of room to bring all your friends along! 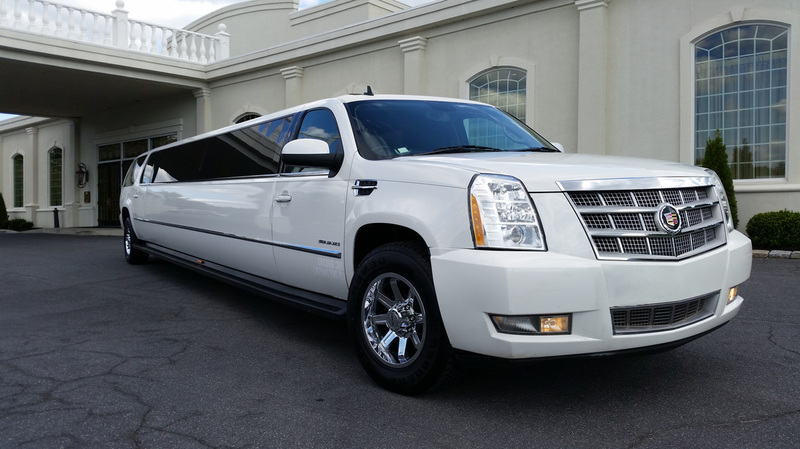 This is the perfect ride for Quinceaneras, Birthday Parties, Bachelorette Parties, Weddings, Shopping Trips, Wine Tours, Night On The Town, or for any party! Gentleman, if you are looking to take your lady out for a night on the town, look no further! With an inside that will have you saying WOW, our Lear Jet inspired Lincoln will have your date relaxed and cuddled up to you in no time. In this ride, you will confidently say that you know your lady enjoyed the evening! With comfortable seating, attractive lighting, a mirrored ceiling, and a throw em back bar, this handsome limousine will deliver you in style! This Lincoln Stretch just screams CLASS doesn't it?! This DaBryan built beauty is gorgeous inside and out and with seating for 8-10 of your closest friends. 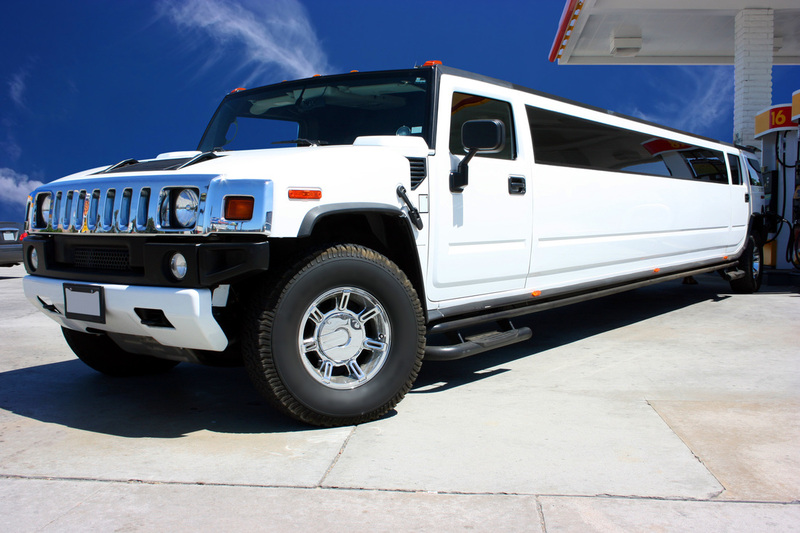 Get your reservation placed and let this Pristine Limousine be the Chariot of your dreams! Just wait until you see the inside! Right away, when you step in and see the luxuriously appointed interior, you will know that you are in a special vehicle! With an elegant bar and a classy lighting system, you will be subdued and put at ease by the gorgeous interior of our Lincoln. The soft and supple seating in this vehicle will give you, your date, and your group of friends the comfortability that you require while having one of the best nights of your life! This Hummer is every Party-Goers fantasy ride! With room for 16-18 passengers, this Bruiser takes the bad boys to all the right places in the Kansas City Metro area. Clubs, Sporting Events, Concerts, Bar Hopping Tours, this Humdizzle's the shizz. There's enough horses pulling this Fantasy Sleigh to convince you you're on Mustang Ranch. So, power is not a question. That's what the Hummer is all about right? Good ole American muscle and power! With a raised roof and lowered floors, you can also rest assured that the taller members of your crew can enjoy the evening in comfort and style! This Mobile Party Machine cranks out ear splitting tunes and delivers the 1-2 punch with the slide up bar. If you are looking for the perfect vehicle for your Bachelor Party, Bachelorette Party, Prom Night, Homecoming Party, Night On the Town, this Hussie is it. Ride her till the early morning light and don't worry about puttin' her up dirty...we'll get her all cleaned up for the next crew! With a name that by association has always exuded luxury, our Cadillac Escalade certainly lives up to all expectations! 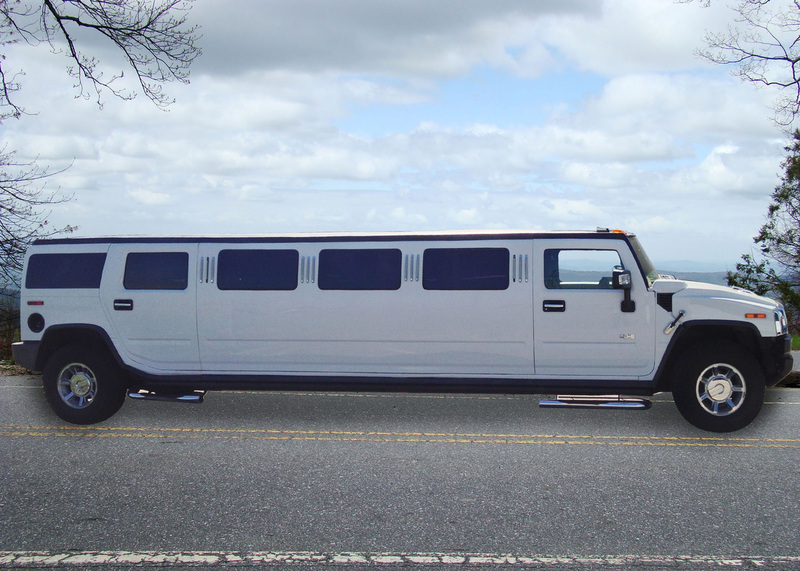 Perfect for groups up to 15-17 people, this elegant limousine will have you being the talk of the party! Pull up to your event in this classy lady, and everyone will want to buy you a drink! With a spacious interior there is plenty of room to kick back and spread out. Pull the cork and let the champagne flow! Time to unwind! The lights accentuate the lengthiness of the inside of this Stretch SUV limo and the comfortable seating will wow you!